It’s bee and wasp season. I got stung by a wasp last weekend. Man did that ever hurt. But no hard feelings. It was just doing what wasps do. In my garden, the bees are doing what bees do. 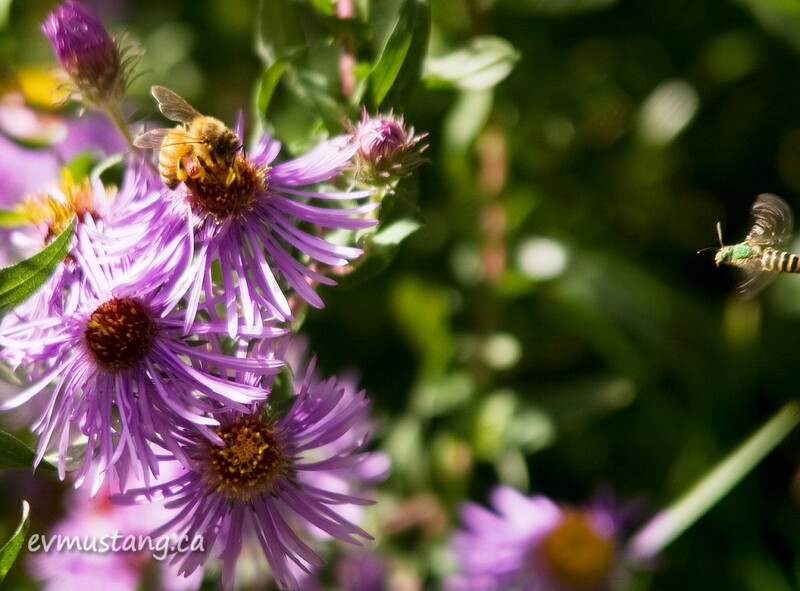 There’s a huge aster in my front garden that I call the bee condo. 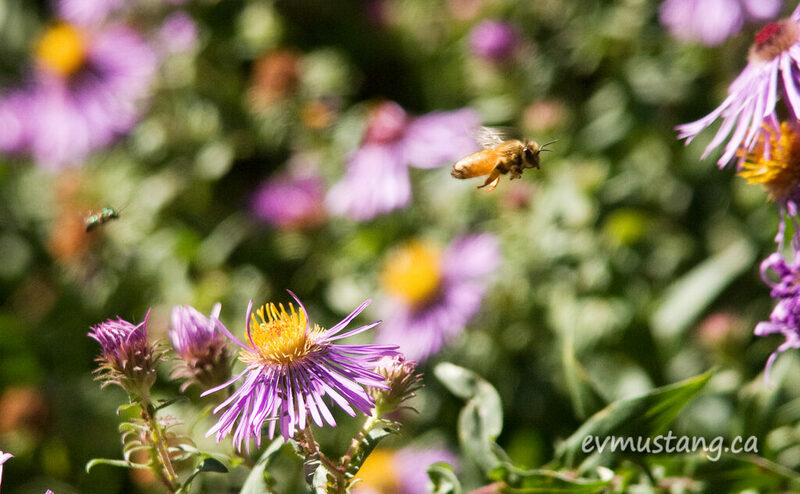 It attracts hundreds of bees. Every kind of bee. 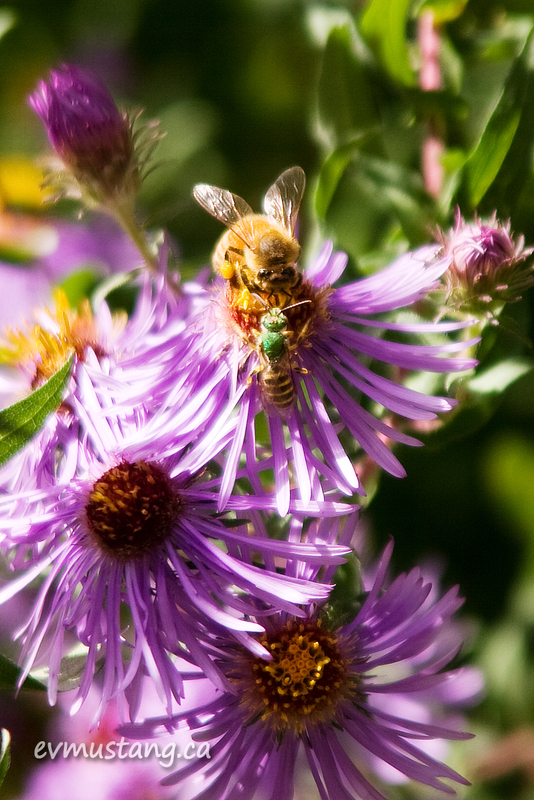 Like the honey bee and green sweat bee above who are vying for the same bloom. And hoverflies, like the green hover fly above zipping along behind that honey bee. I don’t really have the right gear to be taking pictures of bees. I don’t have a macro lens and my telephoto is not the greatest. 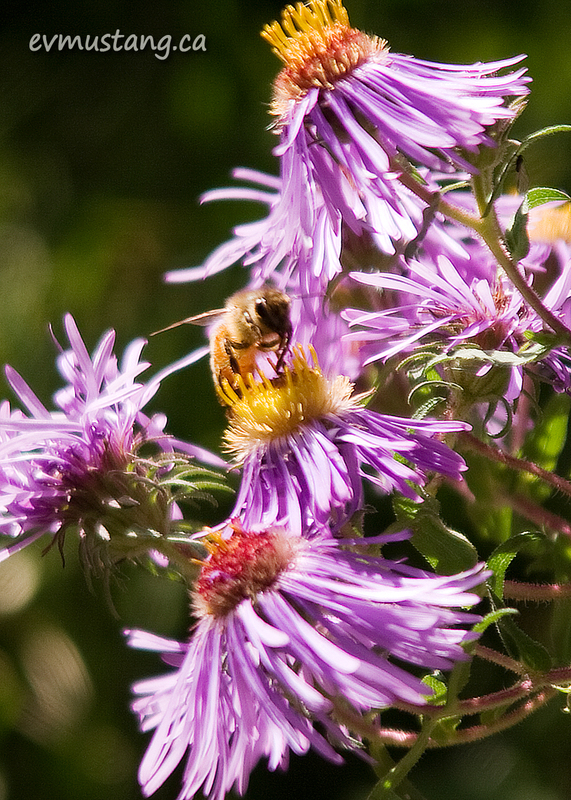 But there are so many bees hanging around I can take a lot of shots and grab the best ones. Good gear or not, it’s nice to spend a warm afternoon trying to grab a snap of these improbable creatures soaking up the pollen and the sunshine. Correct gear or not you must have a fast shutter speed. Delightful pictures. Well, that was exactly the challenge. 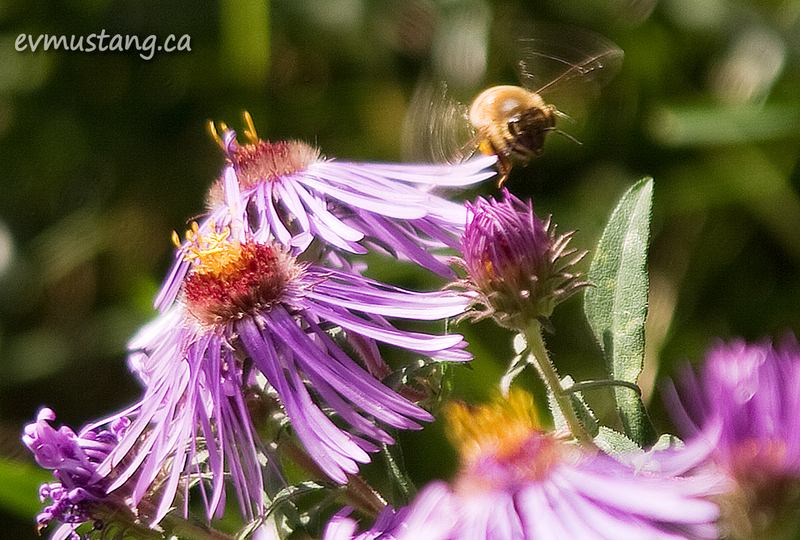 Nice and sunny day – get the fastest shutter speed I can get, sneak up real close and hope for the best.